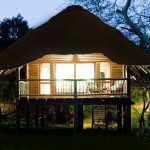 The accommodation is in 20 thatched huts on stilts set among the trees. 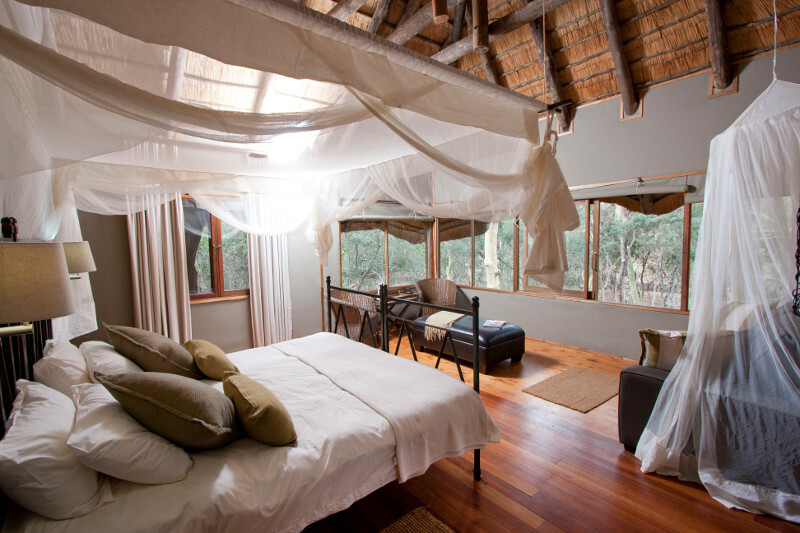 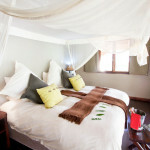 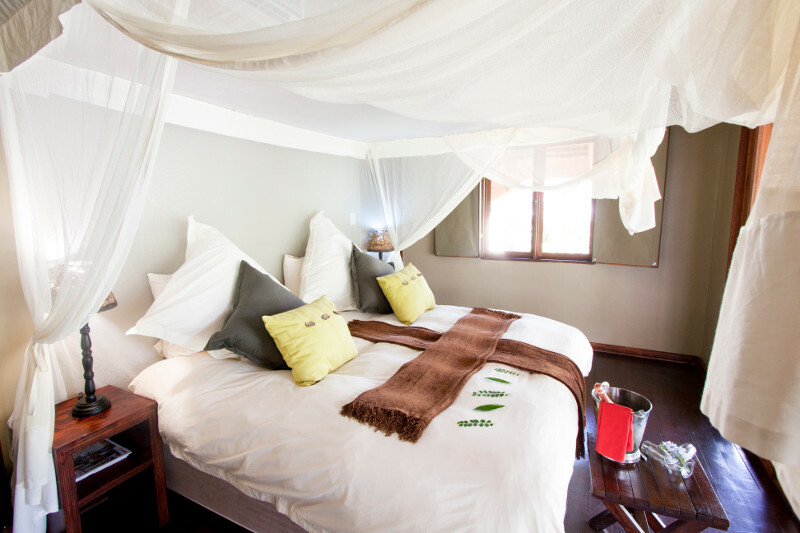 The rooms are fairly rustic with comfortable rooms and simple bathrooms with showers. 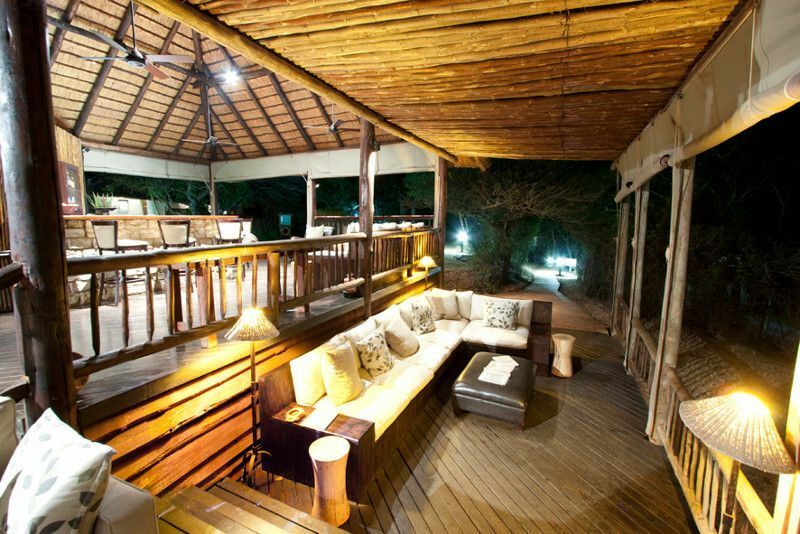 Prices are all inclusive including a morning game drive in the Hluhluwe Game Reserve and an afternoon game drive in the Ubizane Wildlife Reserve which is where the lodge is situated. 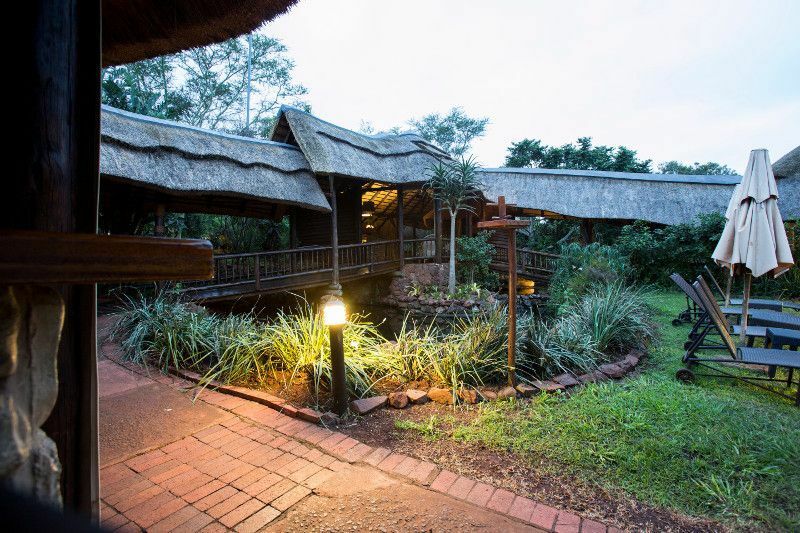 The food is a simple, bush-buffet style served in the Boma which is a thatched open sided dining area where you can view game at the adjacent waterhole in the wet season (November to March) but this is dry during their winter months between April and October. 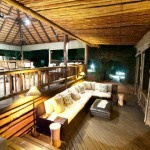 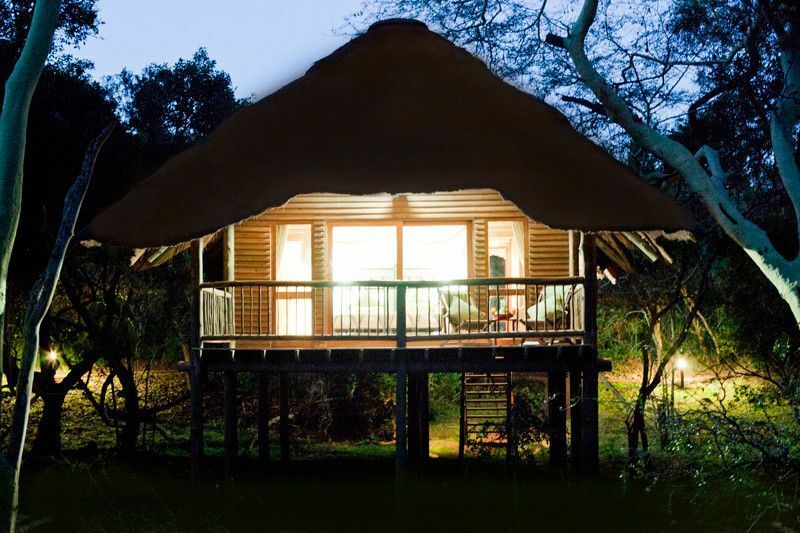 This is a unique property in the Ubizane Wildlife Reserve, which borders the Hluhluwe Umfolozi Game Reserve which is the oldest wildlife reserve in South Africa – proclaimed in 1895. 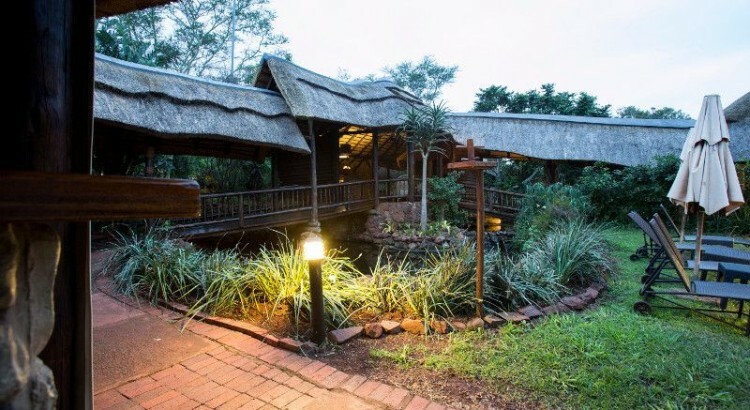 The Ubizane Wildlife Reserve has antelope, giraffe, zebra, warthog and three rhino but the Hluhluwe Umfolozi Game Reserve has an abundance of the ‘Big 5’ including vast herds of elephant, lion, leopard, wild dog, buffalo and an amazing variety of birdlife in breathtaking scenery. 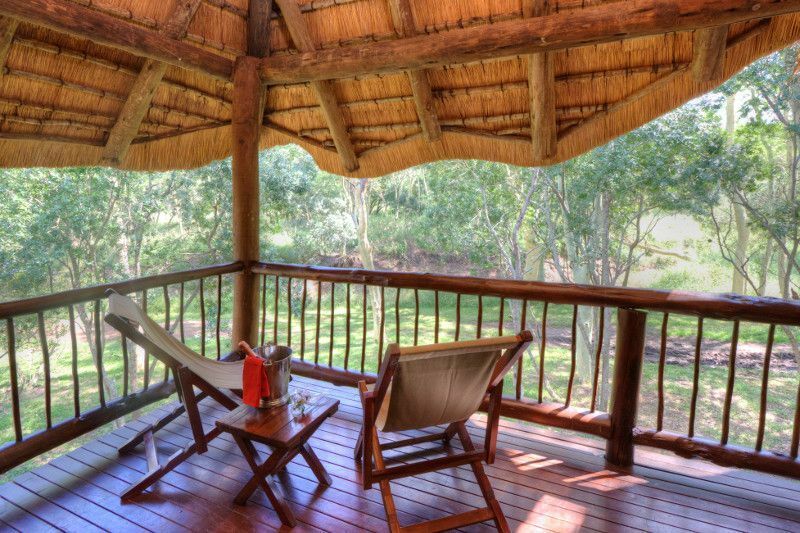 this is a 2 1/2 hour drive from Durban airport and can easily combined with a beach-side property in the KwaZulu-Natal North Coast. 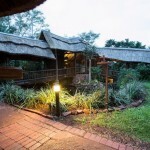 You can also combine this area with a trip to the Zulu and Boer Battlefields and the Drakensberg Mountains. 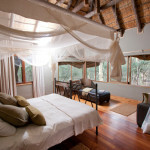 The best time to visit this part of South Africa is between April and November. 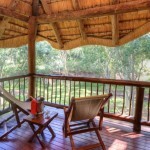 At this time of year the weather is hot but normally dry whereas during South Africa’s summer, this region becomes intensely humid.